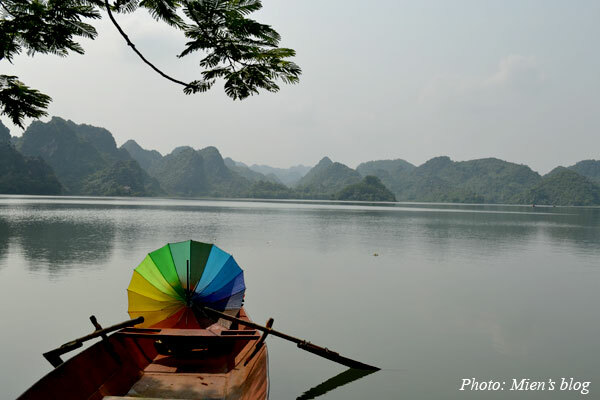 A lot of people refer to Quan Son as “Ha Long inland” because of its numerous mountains arranged beautifully on the surface of the water. 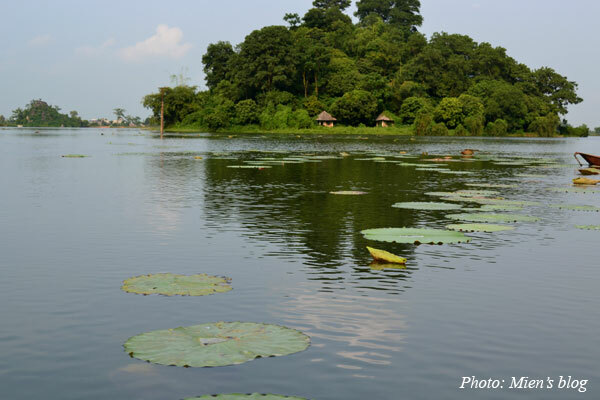 It is said that the lake is about 850 hectare large with more or less 100 limestone mountains. There is no direct bus that drops you off in front of the lake. 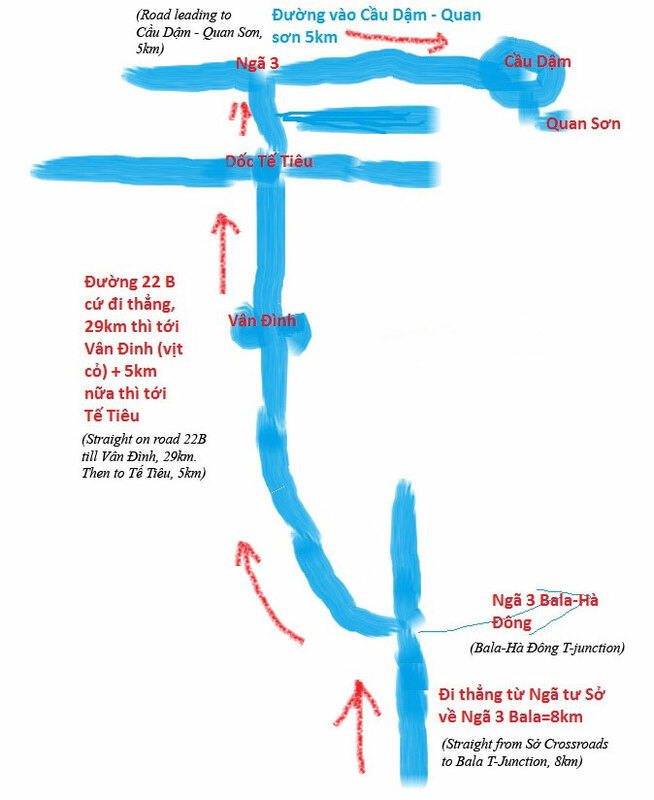 There is only bus number 211 leaving from Mỹ Đình bus station, Hanoi, for Tế Tiêu, which is about 5km away from Quan Son. Then you can take a motorbike taxi (xe om) to go there, however, I don’t know how much they will charge. The better way is to go by motorbike because it’s only 50km away from the city center. And in a good weather you can feel the great pleasure of being able to stop at any place on the road to take a few photo shots. 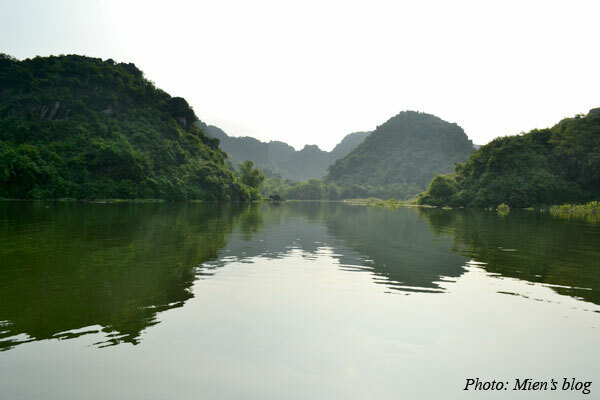 In fact, the way from central Hanoi to Quan Son is very picturesque with wide green paddy fields, beautiful lotus ponds, magnificent mountain ranges and vivid rural life. Amazingly this whole big lake can be totally dried out once in a while. It may happen in the dry period before the summer rains. As far as I know the lake didn’t have any water in April this year. Thus, remember to check this info before you go. We just took a day trip to Quan Son on Sunday 11 August 2012 and the lake is wonderfully full of water (it is about 2-3 meter deep) after all the rains and storms of summer. However, we chose such a hot day to go that we couldn’t do much under the extreme heat. Also there was no lotus or waterlily in bloom when we got there so we were a bit unlucky. Anyway, I think the good time to visit Quan Son is from June to November (summer till end of autumn). 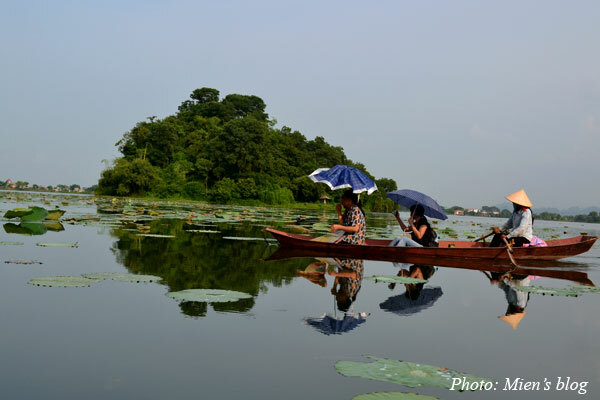 You may see lotus and waterlily from around June to August and their colors will make the lake twice as beautiful. 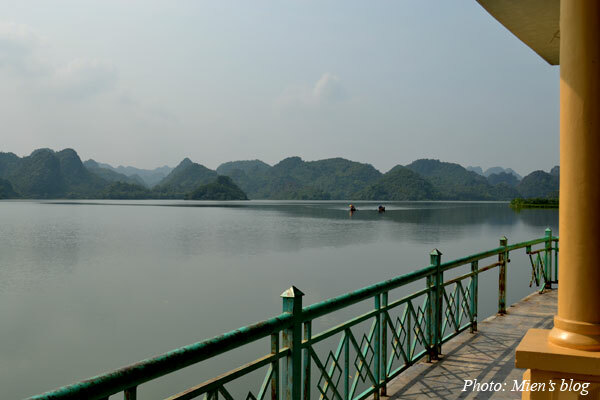 Entrance fee to the whole area is VND10,000 per person. 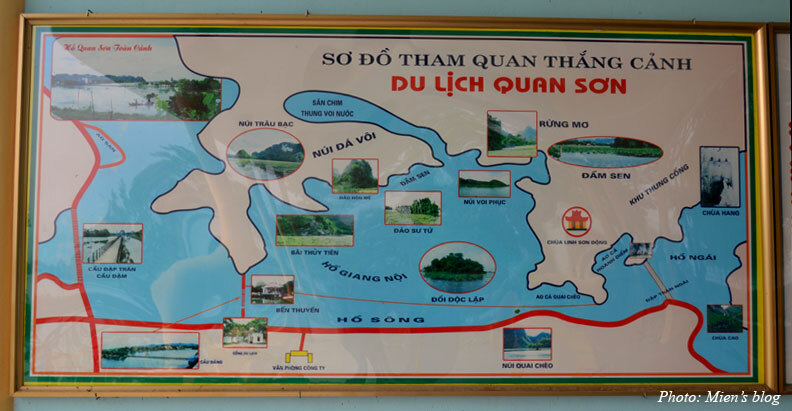 Then the first thing to do is to take a boat and go around Giang Nội (the biggest part of Quan Son lake). Each boat costs 120,000 VND and can carry 2-3 people. You can also take a canoe at 300,000 VND, but it’s not the preferable choice because the noise it makes seems not to be very compatible with the quiet and peaceful surrounding. 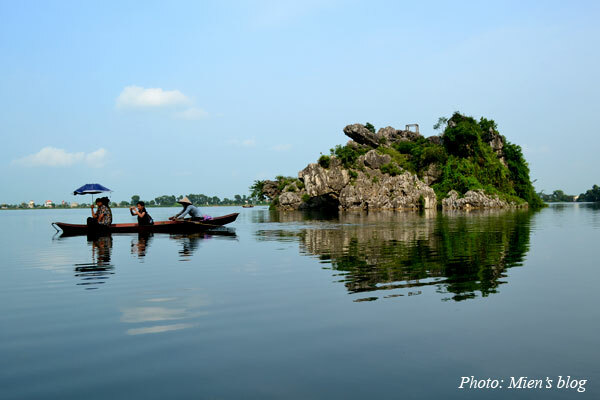 A boat trip takes 40 minutes if it goes non-stop, but you can have a break on an island in the middle of the lake to have a drink, explore the caves or even to swim a little bit (Yes, if you feel like swimming then don’t forget to bring your swimsuit). You can also take a walk on the paths around the area and on the islands to enjoy the natural beauty which is almost untouched by commercial tourism here. 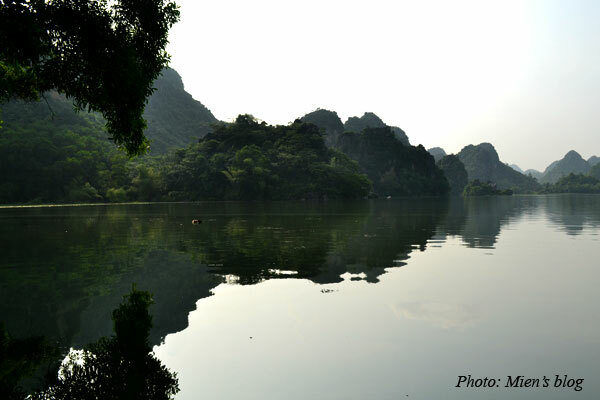 One day should be enough to visit this area and have a relaxing time before heading back to the noisy Hanoi. I’m not really sure if they host overnight visitors. And well, trust me, it does look like a small Ha Long. That first photo just instantly caught my attention. Stunning!